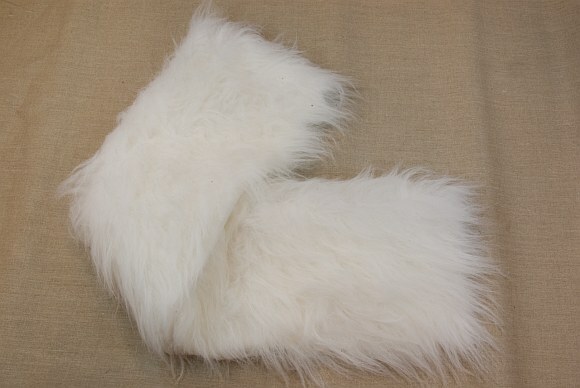 Section of imitated fake fur great for collars for jackets and coats. It is very soft and cosy. The section is 20 cm wide. We also sell it in bigger sections. Supersoft kunstpelsstykke in cafè lattefarvet with soft red hue.